The Topeak Universal Chain Tool is both reliable and durable, making it a great gadget for any cyclist who wants to be prepared for everything. 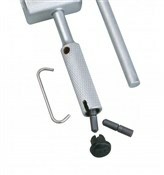 The tool is universal, so it will fit all makes and models and is made of sturdy stuff, so it will last a good long time. Does just what it is meant to do. 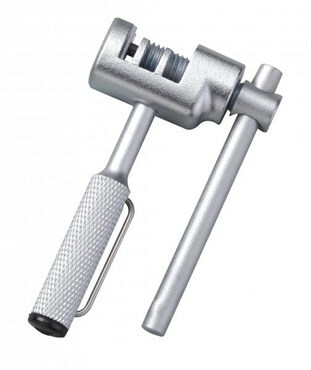 Includes chain holder, space for spare pins, pin breaker slot and 'can be used as a mini hammer'. What's not to like? Despite the description stating its universal chain tool, when it arrived the packaging states not suitable for 11 speeds chains. However it did work on my chain and worked well at that, so it actually does more than it says on the tin. This is the first chain tool I've owned but I am very pleased with it. It's small and light enough to easily take on long rides. I've used it to change the length of an 8 speed and a 10 speed chain; worked fine. Handy little pin to keep the chain together while you open the chain. Great quality item at a great price! & fast delivery from Tredz!